Shares of Time Warner (TWX) surged nearly 18 percent Wednesday after the media and entertainment conglomerate rejected an unsolicited $80 billion takeover offer from Rupert Murdoch's 21st Century Fox (FOXA). The cash-and-stock offer valued Time Warner, whose properties include the Warner Bros. studio, HBO and TBS, at $85 per share, a roughly 20 percent premium to the company's recent stock price. Shares of 21st Century Fox, whose holdings include Fox News Channel and the FX cable channel, fell 4.7 percent to $33.54. Both companies have confirmed that talks were held but have subsequently broken off. Fox made a formal proposal to Time Warner last month. The deal, which had been rumored in media circles for weeks, would be a pricey one. Time Warner's market capitalization is $74 billion. But many on Wall Street seem keen on the acquisition. "It would be a dream combination," said Tuna Amobi, an analyst with S&P Capital IQ. "The premium that was suggested in the first offer doesn't seem to be enough." Under CEO Jeff Bewkes, Time Warner has shed underperforming assets such as AOL (AOL) and the Time (TIME) magazine, which was recently spun-off. Many investors have applauded these moves. Indeed, Time Warner argued in a news statement that it was better off remaining on its own rather because its strategic plan will "continue to drive significant and sustainable value for Time Warner stockholders." The media company predicted that its film and TV production and cable channels would continue to increase in value. Fox estimates that the merged company could generate $1 billion in savings, according to Bloomberg News. That estimate could go higher after Fox is able to do its due diligence, the news service says. "You could probably eliminate a lot of jobs and costs because of the duplication," said Rick Edmunds, a financial analyst at the non-profit Poynter Institute, in an interview. Merging Time Warner's cable channels such as TNT and TBS with Fox's line-up, which includes the recently launched Fox Sports 1 and the National Geographic Channel, could help the new company gain leverage with pay TV operators over fees and save them production costs. One of Murdoch's main motives in acquiring Time Warner might be to gain control of HBO, which is both critically acclaimed and profitable, generating some $1.8 billion in operating profit and $4.9 billion in revenue last year. Amobi said the premium cable channel could be "one of the most coveted assets that anyone could have." One potential hiccup in such a deal would be CNN, which media reports indicate Fox is likely to sell if a deal occurs. Amobi, though, argues that disposing of CNN would be a "very small problem" and that it wouldn't be difficult to find a buyer despite its weak ratings. That view was echoed by Edmunds, who noted that CNN is "still making plenty of money." A source close to the deal told Bloomberg that the all-news channel could fetch $6 billion. 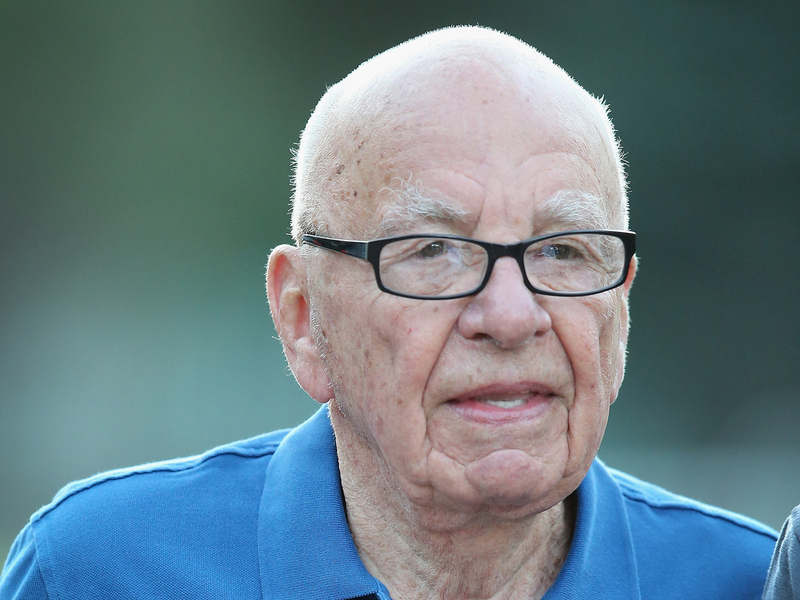 Over his career, certainly, Murdoch also has shown a willingness to spend money in order to make money, as well as take big risks to expand his influence on public opinion. Sometimes these bets have flopped, such as the $580 million acquisition of pioneering social media company MySpace in 2005. Six years later, Murdoch's company, then called News Corp. (NWS) dumped it for $35 million. In 2007, Murdoch spent $5 billion acquiring Wall Street Journal publisher Dow Jones & Co., paying a whopping 67 percent premium for a struggling company for which he was the only interested buyer. He launched Fox Business Network in 2007 as a competitor to CNBC. Fox Business has languished in the ratings since then, though its performance has improved. What his track record shows is that once Murdoch sets his mind on something, he doesn't let much stand in his way of achieving his goal. "Once he gets a company in his sights, he will stay after it for years," Edmunds said.